I developed a newfound appreciation for paper towels last year. When my helper of over 10 years suddenly decided not to come back, I was suddenly stuck with all the chores. Well, my yaya was still around that time. But when she would take days off, I was the one doing all the cooking, cleaning, and washing. I found myself using paper towels a lot more for quick fixes and minor spills. It was then that I discovered Cheers paper products. 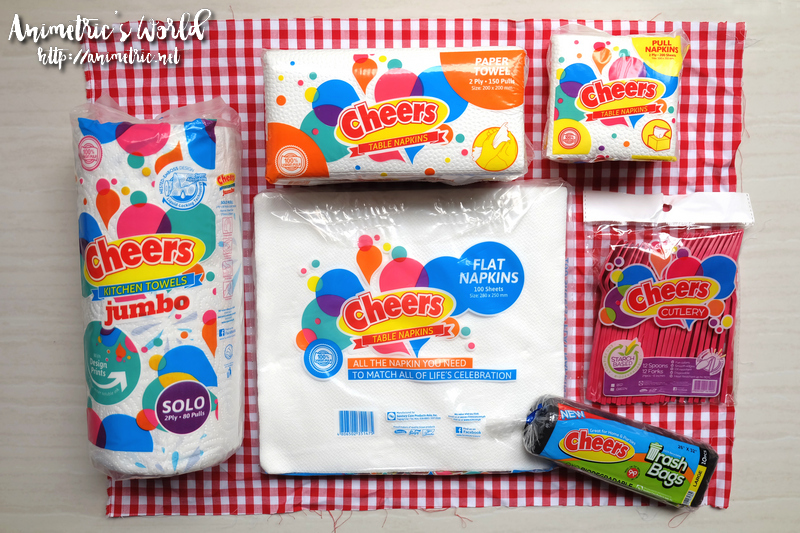 Cheers has table napkins and kitchen towels in all shapes and sizes. 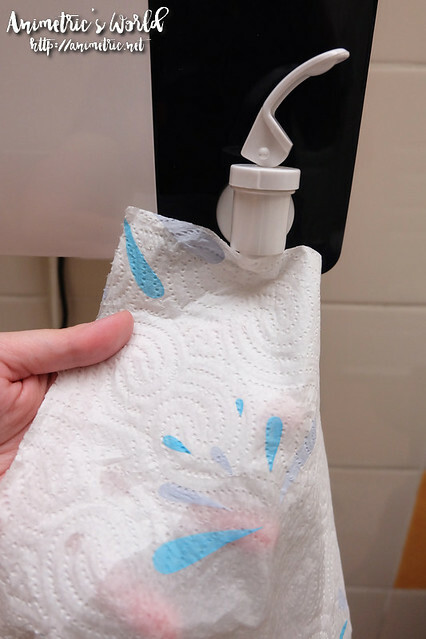 Using paper towels in the kitchen is so much more convenient because I don’t have to wash and rinse anymore. Plus whenever I need a dry wipe, I just grab a sheet. Kitchen towels and table napkins are definitely among the most used items in our home. I love that Cheers has made them available in several different configurations so there’s minimal wastage. I was surprised to find out that they also have cutlery and trash bags! 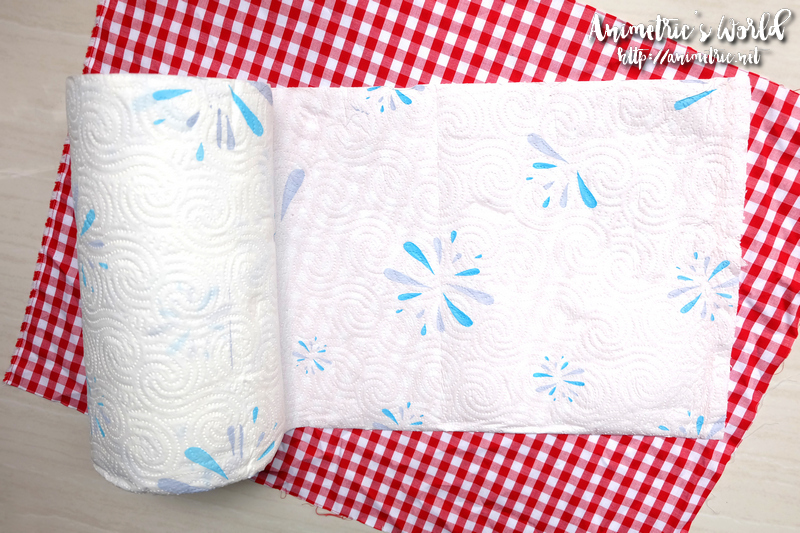 Paper towels are what I use to wipe down everything from minor spills to dusty surfaces. 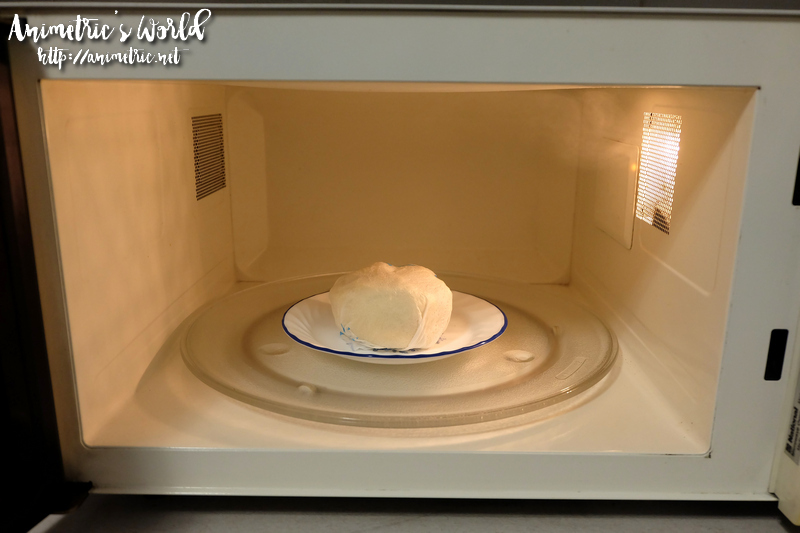 Did you know that you can express steam food items like siopao using paper towels? What I do is get a paper towel sheet and wet it with some drinking water. I do this carefully until the entire sheet is wet but not overly so. Then I gently wring out the extra water. 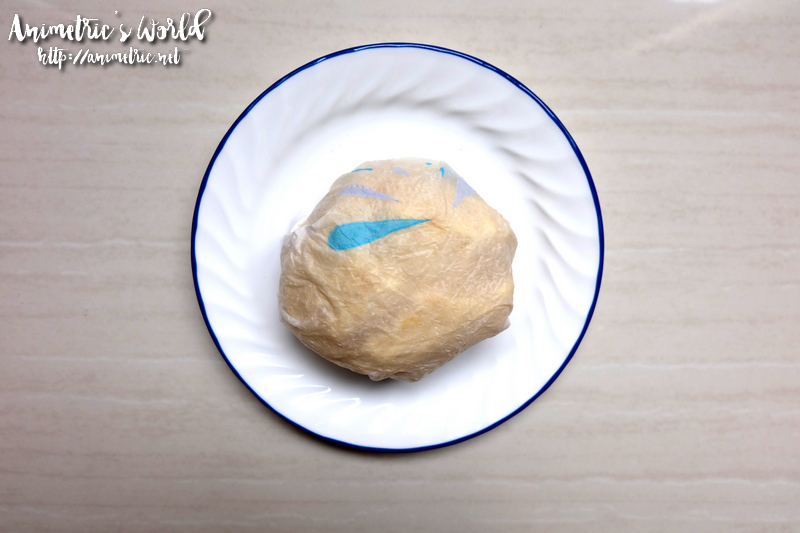 I wrap a Fortune Cake which I bought from a bakery in Binondo with the wet Cheers kitchen towel. I kept the cake in the refrigerator so it’s kind of cold and dry. 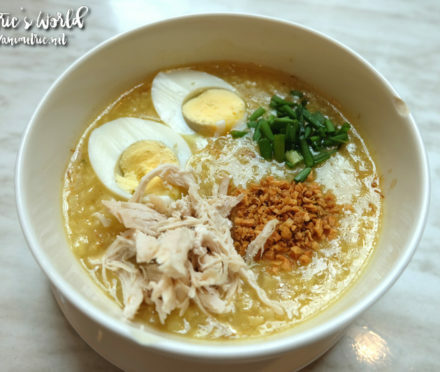 Steaming it would make it soft and chewy again. It’s too much hassle to get a pot to steam one piece of cake so I do this instead. I microwave the wrapped cake for one minute. 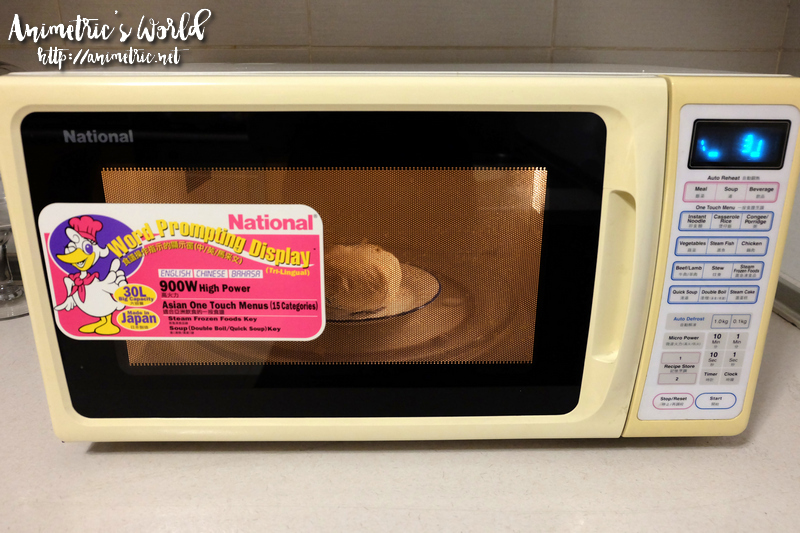 When I open the microwave oven door, there’s steam all over. Voila — freshly steamed Fortune Cake! 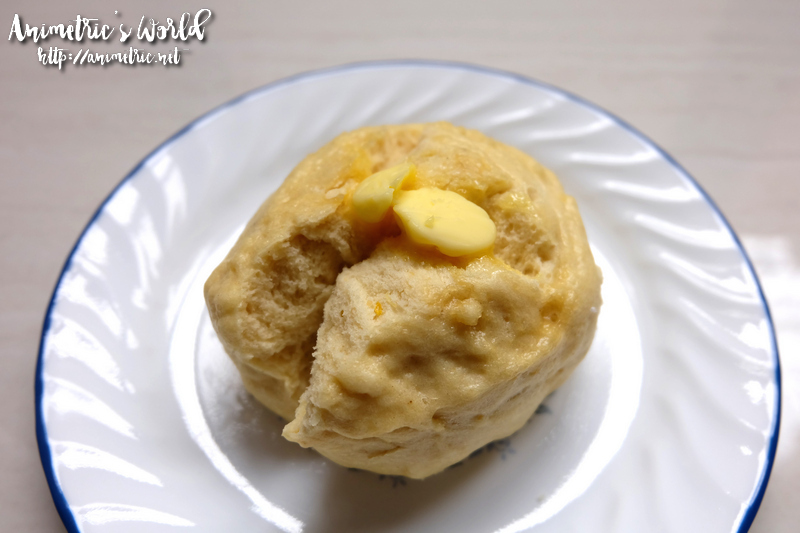 I like eating it with a pat of butter on top. I love these pull napkins. You can easily clean up any mess with these on hand. 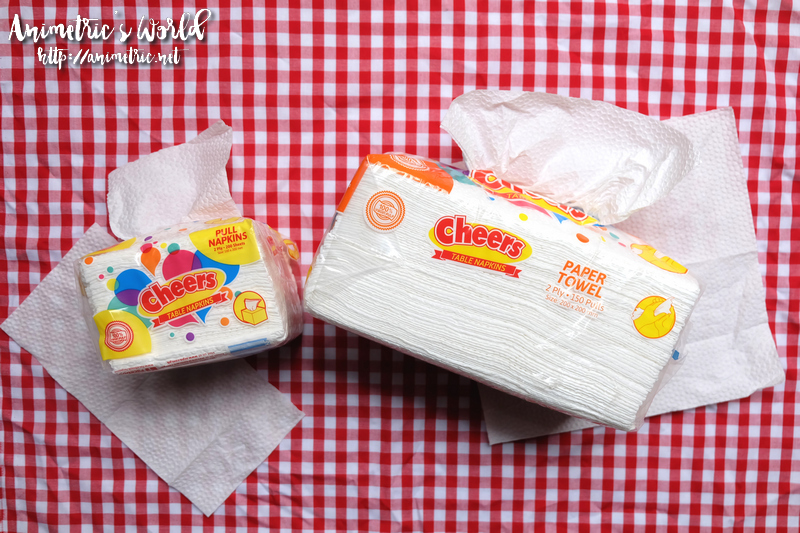 Cheers paper products are made of 100% Virgin Pulp. There are no artificial whiteners and elemental chlorine so they’re truly hygienic. 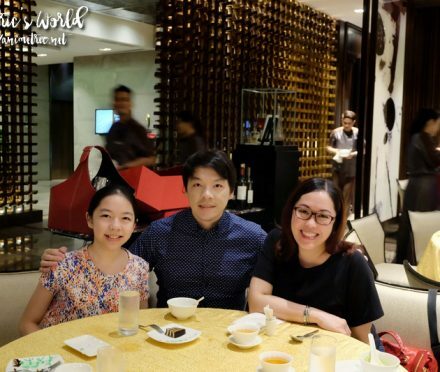 I love the size selection because I can get the product that’s most suited for my purposes. When I use a paper towel roll, I often find myself wishing that it was smaller, wider, longer, etc. 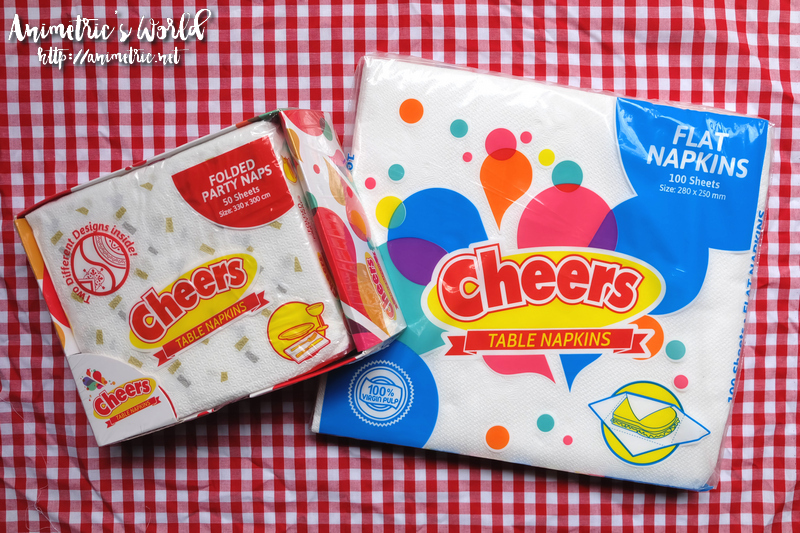 Cheers table napkins and kitchen towels come in plain white and in various festive patterns that can enhance any table setting. 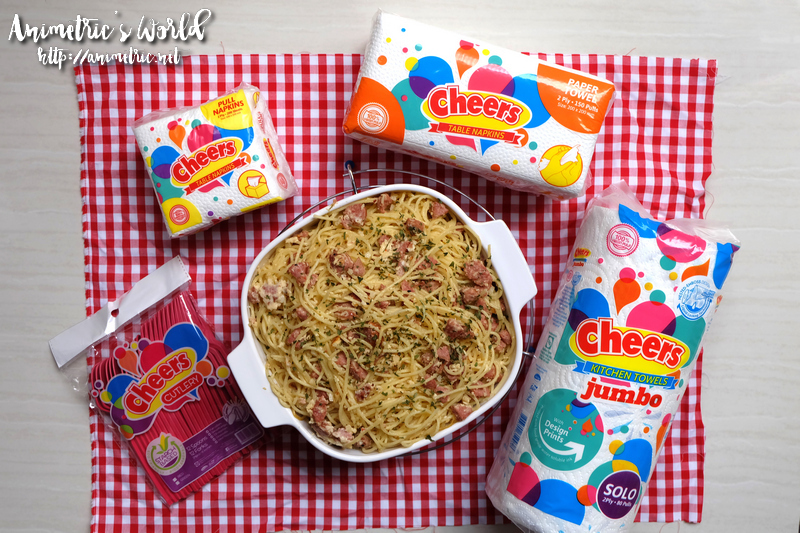 Whether it’s for everyday use or for special occasions, there’s a Cheers paper product that’s right for you.